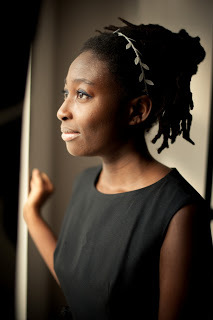 Helen Oyeyemi was born in Nigeria in 1984 and grew up in London. Since then she has led a wanderer’s life, moving from country to country, and along the way collecting an MFA at Columbia University. She wrote her first novel, The Icarus Girl, while she was in grade school. Subsequent novels include The Opposite House, White is for Witching and Mr Fox, in 2011. This year she was included in Granta’s Best of Young British Novelists’ list. Her next novel Boy, Snow, Bird: A Novel, is forthcoming in 2014. Somehow she found time to answer a couple questions for Fiction Addiction, and we are so grateful. Oyeyemi is reading for Fiction Addiction on September 24, 2013. Mainly out of tea-assisted defiance, I think. Is there an interview question you’ve never been asked, or wish I had asked, so you could answer it? What would it be? Lately I’ve been wishing someone would ask me which fairytale I think would’ve made the best Hollywood adaptation, and who I’d cast in the main roles. Because then I could say: Well, I’ve been giving this a lot of thought and have settled on the old Italian tale ‘Misfortune’, in which the youngest of seven daughters is cast out of her home and pursued across the country by her own bad luck, which takes on the form of a woman intent on creating havoc and making sure the seventh daughter gets all the blame. The personified misfortune is eventually stopped in her tracks, but up until that happens this could’ve been a very fine project for two of the greatest actresses of all time. Barbara Stanwyck would play the seventh daughter as a tough cookie who keeps her own counsel but lets the occasional tear fall as more and more people get the wrong idea about her. And Bette Davis (in reckless scorn mode) would play the part of the seventh daughter’s misfortune to the hilt! Thanks for giving me the opportunity to get that off my chest. Leia Menlove studied English Literature and creative writing at the University of Michigan. Her articles and reviews have appeared in publications including Foreword Reviews Magazine, Metromode and Concentrate Media. Her short fiction has been published in Joyland Magazine and eCurrent. Leia lives and works in New York City where she is pursuing her MFA in creative writing at The New School.